Throughout this summer, I have had the fortunate opportunity to speak with many parents who are seeking explanation for why their son or daughter was charged with the unlawful possession of marijuana when, in fact, they were not the rightful owners of the controlled substance. “The weed belonged to his friend… it wasn’t even found on him. How is this possible? ” It doesn’t matter whether it was found in his pockets or not. Quite frankly it doesn’t matter if the police officer saw the Defendant holding the substance. The State can find the Defendant guilty if it can demonstrate that the Defendant is aware of its presence and has both the power and intent to control its disposition or use. In other words, they would have constructive possession of the substance. So even though your son or daughter may not have actually possessed the marijuana, they could be charged with unlawful possession if incriminating circumstances exist to demonstrate he or she had constructive possession. This legal anomaly of constructive possession is alien to most parents because it has never visited them before. So they arrive at a blind assumption that their child is innocent and contesting the charges is the only appropriate course of action. But can you blame them? I mean after all they didn’t actually hold the marijuana. Which is why the State, in many of these cases, looks to the totality of the circumstances. Let me offer you a hypothetical example in order to elaborate on this notion,. Suppose your son or daughter is driving home from a concert with a friend and their friend, who is driving, decides to pull out their stash of marijuana and begins to smoke. Your child sees this all happen but chooses not to engage in consuming the substance. But just before the friends arrive at their final destination, a police officer clocks them traveling 75 mph in a 60 mph zone and decides to initiate a traffic stop. Panicking, your child decides to grab the marijuana and quickly hide it in the glove box in fear of getting caught with the substance. The officer then walks up to the car, smells the odor of what appears to be marijuana and the rest is left to your imagination. Now, what are the circumstances in this case that would rise to the level of constructive possession? First let’s evaluate the rule of law for a proper application. The State has the burden to present sufficient evidence of close proximity and incriminating circumstances to show a reasonable inference that the Defendant has the intent and capability to exercise control and dominion. The defendant (your child) was fully aware of substance and its presence inside the glove box. They also clearly expressed the power and intent to control its disposition or use when they purposefully grabbed the stash and hid it from view. When you examine the totality of the circumstances in this case, the close proximity, the exercise of domino or control, and the awareness, you can adequately see how the State can easily meet its burden despite the fact that the substance doesn’t even belong to your child. So this leaves you in a situation of whether to pursue trial or to consider pursuing a diversion program with the hopes that either avenue will lead to a dismissal of the charges. Obviously the choice is completely up to your son or daughter but the best decisions arrive from education. As a legal presence, I feel that their decision will be more informed if you, (the parent(s)) fully comprehend how the sticky fingers of constructive possession can find your children given the circumstances and being in the wrong place at exactly the right time. 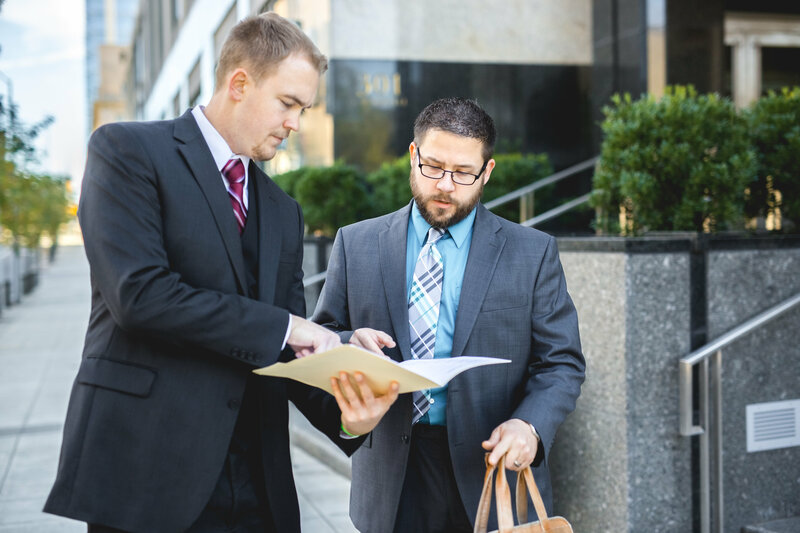 So that is why it is increasingly important to speak to a criminal defense attorney attorney who can adequately advise you and your child of the best course of action. And furthermore, it is our duty as a community to explain to our young adults why the old saying “choose your friends wisely” becomes evermore critical to cases like these. Posted in blog Tagged Marijuana Charge, Misdemeanor Lawyer, North Carolina DWI Arrest, probable cause, Raleigh DWI Lawyer, traffic stop, Wake County Attorney, Wake County dwi lawyer Bookmark the permalink. Both comments and trackbacks are currently closed.